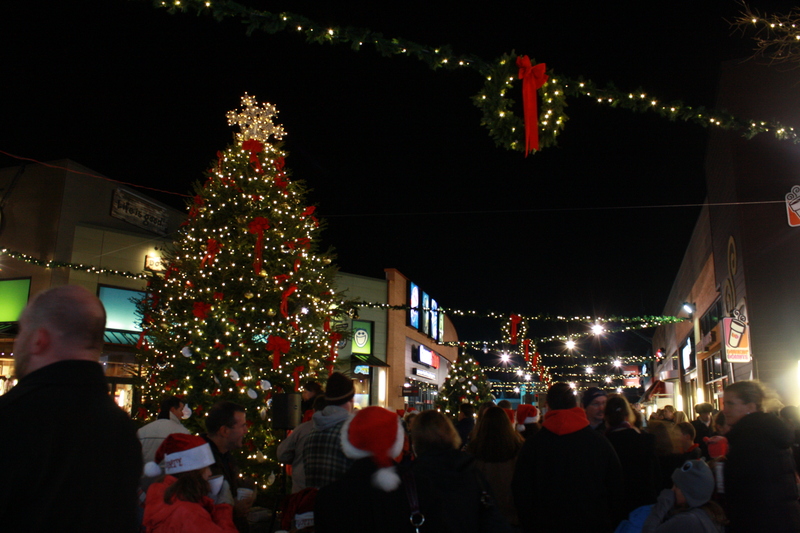 Patriot Place will welcome the holiday season to town on Saturday, Nov. 30, with the fifth annual Tree Lighting. The free event will feature a night of holiday tradition and family fun full of caroling, sleigh rides and the annual lighting of the Cradles to Crayons Holiday Giving Tree. Visitors will be greeted by live holiday music and performances along with special appearances by the New England Patriots Cheerleaders, Pat Patriot and of course Santa and Rudolph. The Patriot Place Street Team will also be on site and in the holiday spirit with giveaways, prizes and more. The giving tree, benefiting Patriot Place’s charitable partner, Cradles to Crayons, features ornaments containing a holiday request from a child in need. Visitors to Patriot Place are invited to take an ornament from the tree and purchase the assigned gift to fulfill a child’s wish. Gifts can be dropped off throughout the holiday season at the Patriot Place Management Office, located next to Skipjack’s, or at participating Patriot Place retailers. After the tree is lit for the holiday season, guests are invited to enjoy sleigh rides around Patriot Place and a special reading of “A Night Before Christmas” by Santa in front of Old Navy, the official retail sponsor of Cradles to Crayons’ program, “Give Back with an Outfit Pack.” For more information on the program, please visit Cradles to Crayons’ website, http://www.cradlestocrayons.org/boston/givebackoutfitpack. On Friday, Nov. 29, the Patriots Women’s Association will gather in the Patriot Place Activity Center to sort new and gently used children’s coats donated at Patriot Place, local YMCAs and many of the schools in and around Foxborough. Coats will be sorted by size and gender to then be distributed by Cradles to Crayons to children in need. Through Dec. 24, visitors to Patriot Place can donate new or gently used coats for children from infants to age 12 at The Hall at Patriot Place presented by Raytheon, the Patriot Place elevator lobby in NRG Plaza and the Patriot Place management office between Skipjack’s and Bar Louie.